Nebraska Football: Who Will Be The Huskers’ Starting Quarterback in 2015? 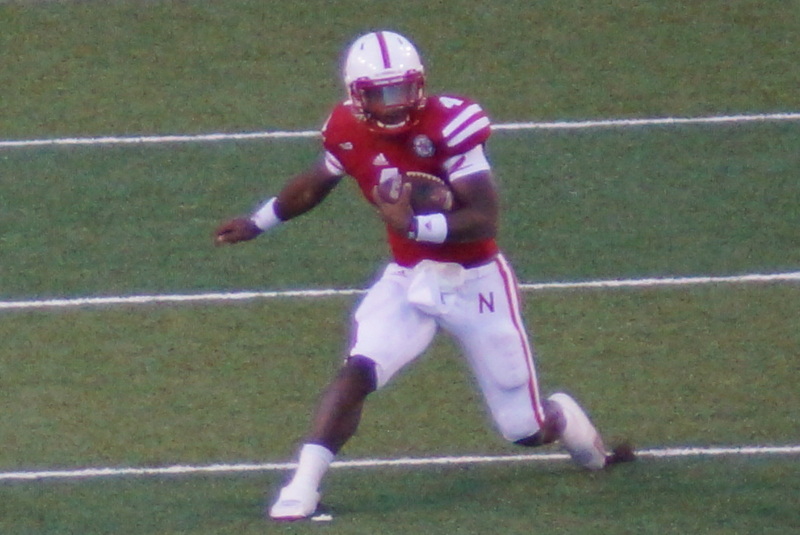 Nebraska football fans looking forward to the 2015 season will have one question on their minds over almost all others: who will be the starting quarterback? There are five candidates on the roster as we speak. Tommy Armstrong is the incumbent, having started 21 games over the last two years. Waiting in the wings are Johnny Stanton and Ryker Fyfe, who saw limited playing time in 2014, and Zack Darlington and A.J. Bush, who redshirted last year. Of course, it’s a big guessing game at this point as to who will win the job, as we don’t know what type of offense new head coach Mike Riley will be playing. We also don’t know how each of the quarterback prospects will perform this spring or this fall. But based on what we know now, we can at least make some educated guesses as to where the quarterbacks currently on the roster stand. As the incumbent starter, Armstrong has to open as the favorite to win the job in 2015. And there’s a lot of reasons to like Armstrong. He’s 16-5 as a starter. He’s led Nebraska on gutty comeback performances, either in victory (Iowa) or close defeat (Michigan State, USC). He’s a leader on the field who commands respect from his team-mates. But there are also reasons to question whether Armstrong will be the guy who gets the nod next year. He has a 52.9 percent career completion rate, which is simply not good enough to win a conference title. As thrilling as the comeback against USC in the Holiday Bowl was, don’t forget that the Trojans also dropped a host of interceptions that would have put the game truly out of reach at halftime. That’s not to say Armstrong can’t get better, particularly with a new head coach and a new offensive coordinator who are both skilled in working with quarterbacks. Given his experience, Armstrong is still the clear favorite to win the job next year. But given the new staff coming in and looking at things with fresh eyes and installing a new offensive system, it’s a lot closer than it would be otherwise. Chance of being the 2015 starter: 50 percent. If there’s anyone that has benefited from the transition from Bo Pelini to Mike Riley, it’s Stanton. Until the very end of last year, Stanton was unable to even win the backup job, ceding that role to walk-on Ryker Fyfe. But the Elite-11 prospect has the kind of underlying skills that made Riley want him very badly at Oregon State, meaning Riley arrived in Lincoln aware of his skills. If Stanton couldn’t see the field last year because he struggled picking up Tim Beck’s system, then a change in offensive coordinators gives him a fresh start. And given his unquestioned physical talents, that might be enough to create some real drama this spring. Fyfe looked to be playing the role of Joe Ganz from a few years earlier, being the plucky kid who worked hard in the shadow of much higher-regarded quarterback prospects until he got his chance to shine. When Armstrong was injured against Michigan State, it was Fyfe who got the nod and led Nebraska to a score to keep the game competitive. But with a new staff and a new system coming in, Fyfe will be starting from scratch, much like all of the other quarterback prospects. That means the same hurdles he needed to clear last year will be facing him again. That’s not to say he can’t be successful. It’s just a lot more difficult for him. Darlington has been lost in the shuffle a bit, in part because of his redshirt and in part because his concussion history had many wondering if he would be able to play quarterback at all for Nebraska. But he’s still here, with the same three-star dual-threat quarterback pedigree (according to 247 Sports) that made him a target for schools like Ohio State, Arizona, and Mississippi State. He’s also a coach’s son, which would tend to suggest he might have a leg up in terms of picking up a new system and understanding the game as a whole. Maybe he’s not as flashy as some of the other signal-callers on Nebraska’s roster, but Darlington might be a bit of a sleeper. If Darlington is the sleeper pick, Bush is the trendy redshirt to back for next season. During bowl preparation, interim head coach Barney Cotton called Bush “intriguing” and praised his athleticism and work ethic in preparation for the Holiday Bowl (according to Steven M. Sipple of the Lincoln Journal-Star). Hearing the praise about Bush’s work ethic certainly would have to bode well for his chances to make a splash with Nebraska’s new coaches. Combine that with his physical skills, and he should have a fighting chance to make an impression. Personally, I really hope someone other than Armstrong wins the job. I got nothing against Tommy and if he wins, I’ll support him to the end. But after two years with him being mostly the main starter, there’s been nothing to convince me he can lead this team to anything better than a mediocre record and a third-place finish in the division. Everyone likes to tout his leadership ability, or his desire to win, or other intangibles, but where is the evidence of that? What were the games we really needed some big plays and some solid drives from our offense? Michigan State, Wisconsin, Minnesota, and USC. What were the games that our offense completely failed to make a meaningful impact on the game for long stretches at a time? Michigan State, Wisconsin, Minnesota, and USC. In addition to those being our four losses this season, can you really point to any of those games and say “Tommy played really well”? His stat lines against Michigan State and Wisconsin were dreadful (combined 42.6% completion, 335 yards, 1 TD, 3 INT). Against Minnesota he was closer to “Not bad” than good, and while his stats look damn good against USC, you’ve already pinpointed the problem in holding that up as an example of his work. I hope whoever wins the job plays lights out and has the best season we’ve seen a QB have here. But I don’t see any indication that Tommy is capable of being that guy. I hate saying that, but it’s true.